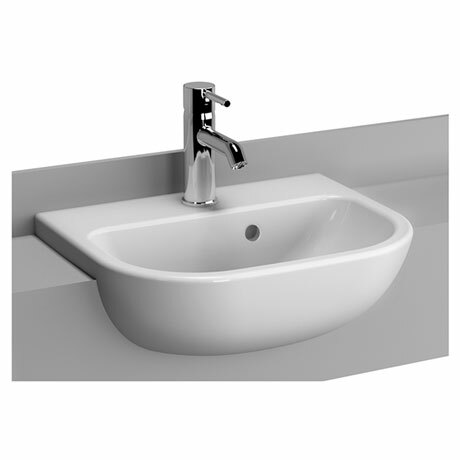 This semi-recessed basin is ideal for small cloakrooms or bathrooms with its short projection. Manufactured from high quality vitreous china this one tap hole basin should be used with a mono basin mixer (sold separately). Perfect for a tight space. Excellent service. Quick delivery time. Excellent service. Quick delivery time. Searched everywhere for a basin that was small in depth and this was perfect for our needs. Would definitely order from them again.